If you have 24 hours in Quito, Ecuador, this is your chance to explore one of South America’s most unique capital cities. Ecuador has long been overlooked by tourists for its neighbors, Peru and Colombia. 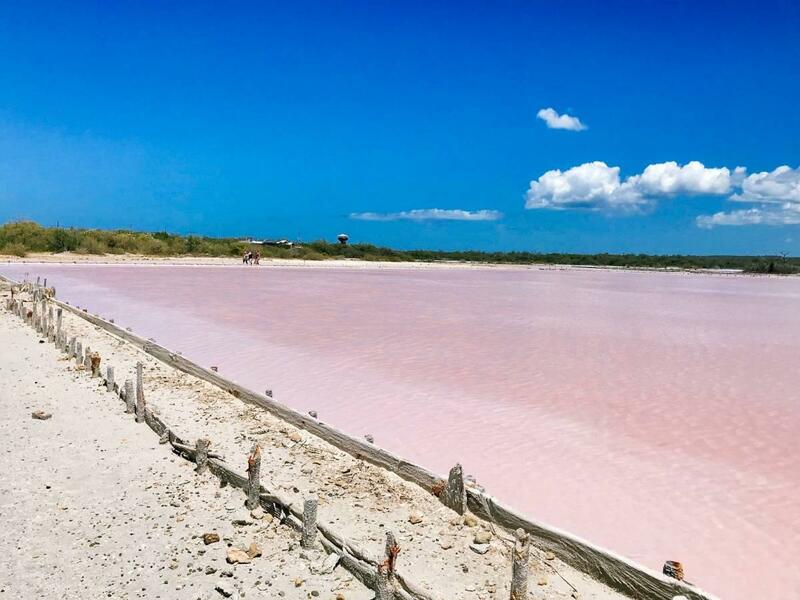 Its biggest claim to fame used to be the Galapagos Islands, which remain beyond compare, but there’s been a resurgence in tourism to the mainland in recent years with the influx of budget airlines and increase in affordable routes. Thankfully, every bit of Ecuador is as unique as the Galapagos. 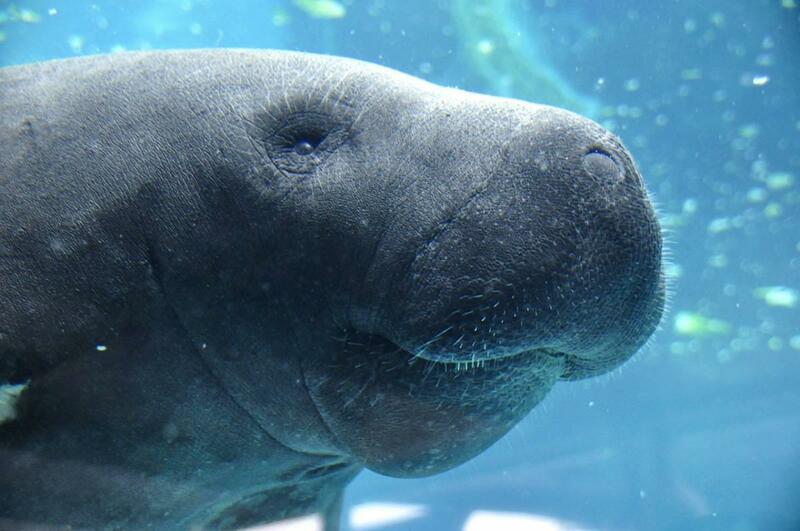 Did you know that their stretch of the Amazon is considered one of the most biodiverse ecosystems on the planet? Or that they produce nearly 63% of cacao beans used for fine aroma chocolate worldwide? The country is teeming with goodness, and has yet to be spoiled by an onslaught of commercial tourism or exploitation of resources. 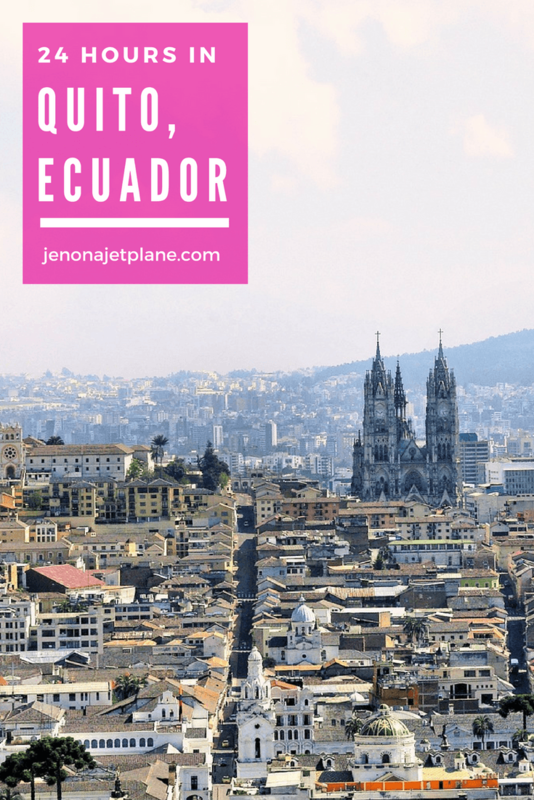 Quito is the gateway to Ecuador. It is the center of political power and houses more than 2.5 million residents. Whether you’re here on a layover or passing by on your way to other places in the country, it’s worth taking a look around. Here’s what to do when you only have 24 hours in Quito, Ecuador. 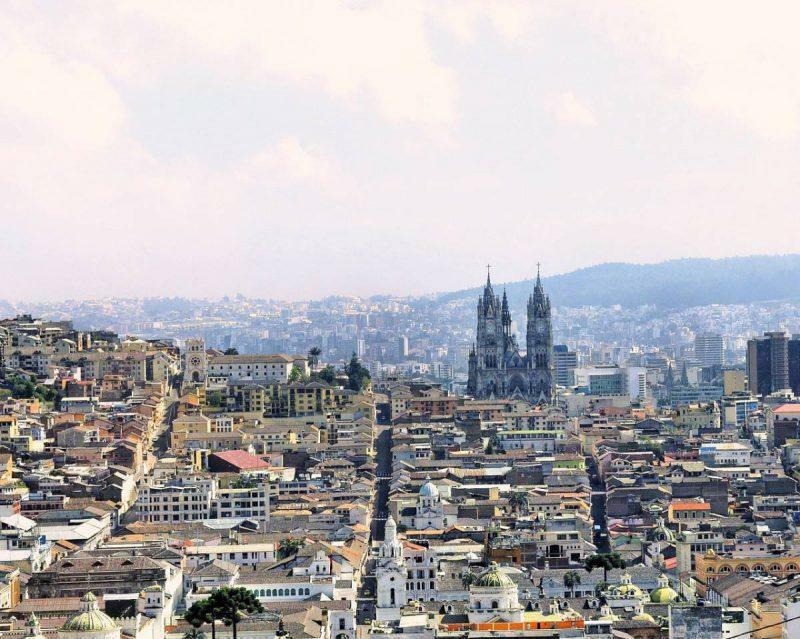 HOW WELL DO YOU KNOW QUITO? TAKE A QUIZ AND FIND OUT! The best part about the food in Quito is that it’s fresh and cheap. With an abundance of produce and homegrown items, there’s no reason to eat anything artificial whie you’re here. Give your body a break from processed sugars and start your day off right with a batido, or shake. I had a pineapple one that was to die for. You’re going to want to load up on energy because you have a long day ahead of you. Most accommodations will include breakfast free of charge, and you can buy an entire sleeve of oranges for less than $1. There’s no need to convert money here since Ecuador already uses US dollars. 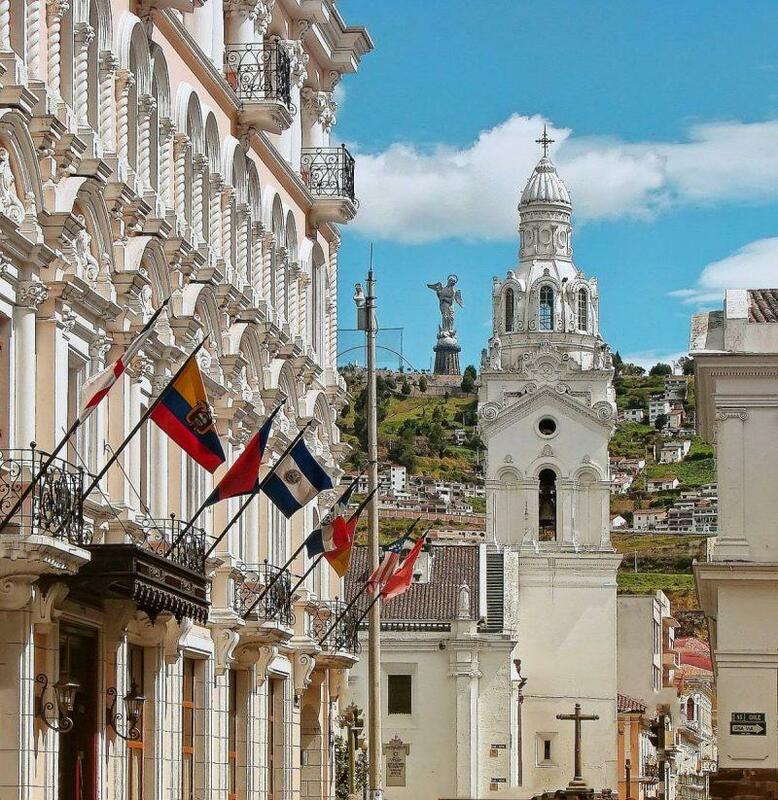 You’ll quickly discover that Quito is very affordable, which is one of the reasons it’s become a hot retirement destination. 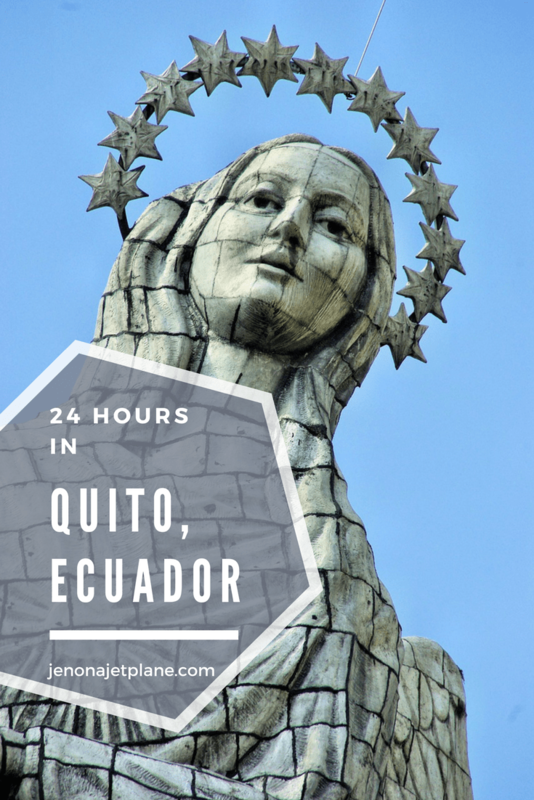 Your money can go far here, especially if you’re only spending 24 hours in Quito. 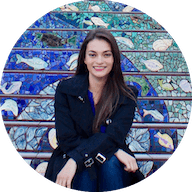 You can easily manage on less than $50/day, accommodations and food included. Once you have some food in your stomach, head to Museo Intiñan, aka the middle of the earth. 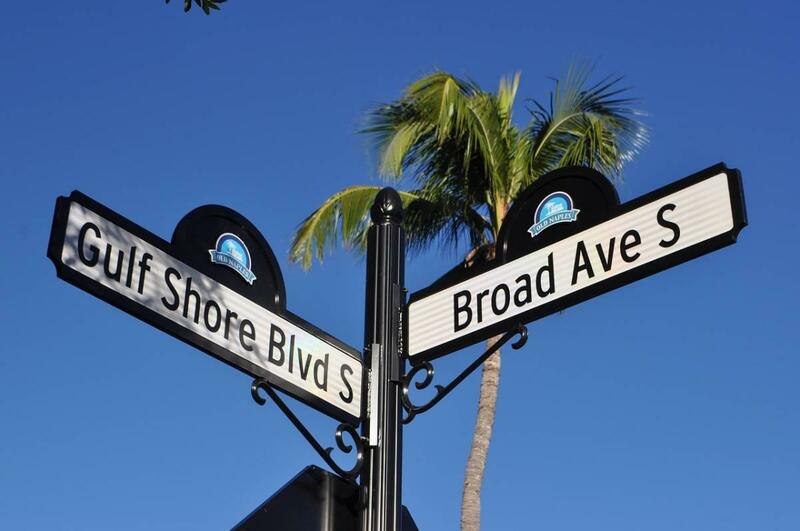 Note that there are two separate attractions located within a block of each other. The first is the Mitad Del Mundo monument. It was supposed to have been erected on the equator line, but calculations later showed it was a little off. 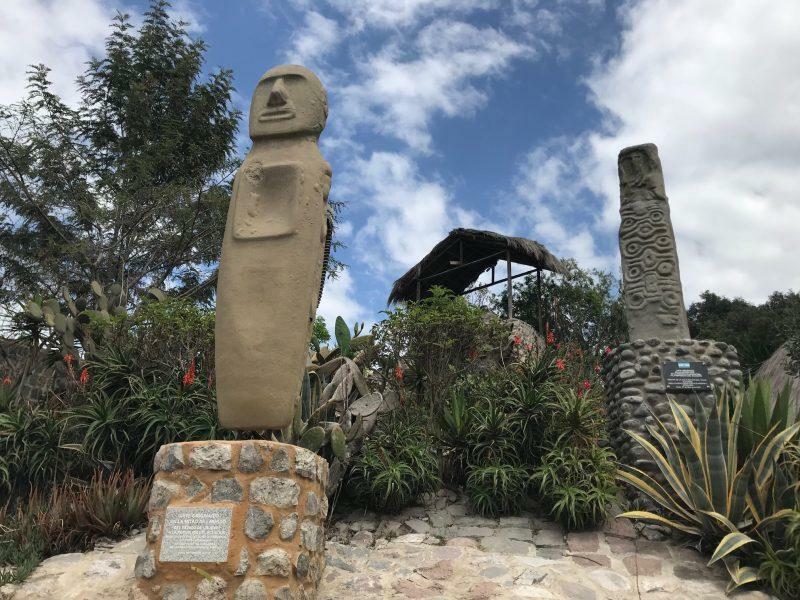 By that point, it was a little late so the monument still stands, but the real equator line is located at the second attraction, Museo Intiñan. It’s called a museum because it’s actually a learning experience, not just a cool photo spot. While the equator line passes through 13 countries, this is the only place in the world where you can trace a demarcated line and experiment with gravity. It costs $4 to enter for adults and $2 for kids. There are some huts and shelter areas but for the most part this is an outdoor activity, so come dressed accordingly. Quito is surrounded by mountains, and each one has their own micro-climate. This means that it could be raining on one side of a plaza and sunny in another. Don’t let rain dissuade you from going for this reason. Just because it’s raining at your hotel doesn’t mean it’s raining at the middle of the earth. Every guest must attach themselves to a guided tour. There are tours in Spanish and English leaving continuously throughout the day, so come anytime. They are open from 9:30am to 5pm daily. On your tour, you will learn about Amazonian tribes and traditions, like shrinking heads and live burials. 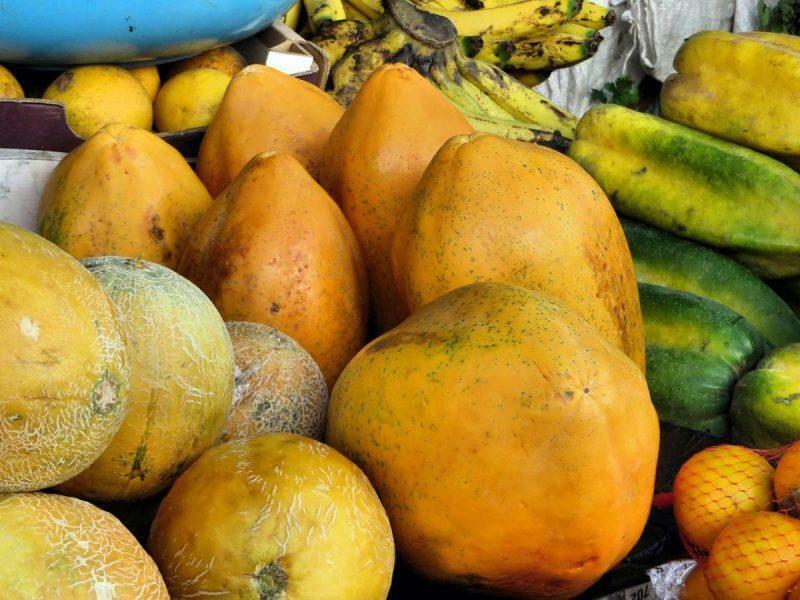 You’ll also learn about the important of cacao beans to Ecuador’s economy. But the highlight of the museum are the experiments conducted with the earth’s gravitational pull. You can attempt to walk the equator line, though you’ll find yourself being pushed to either side. You can also see water flugh three ways: clockwise, counter-clockwise and straight down. For some reason this sign is not widely publicized. I’ve heard people say that they visited Quito and had no idea it even existed. 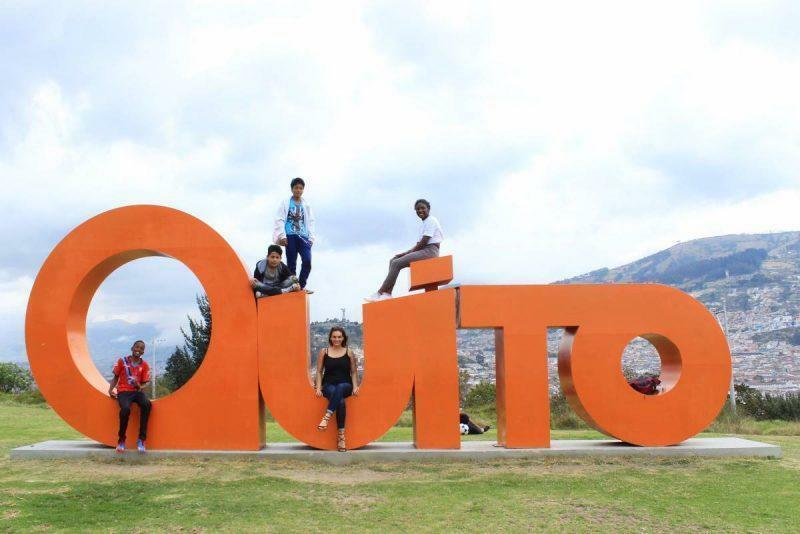 The Quito sign can be found in Parque Itchimbía, a park that overlooks the city and sits above Quito’s San Juan district. It’s about a 10-minute drive from the city center and accessible by public bus. Once you get there, you’ll see a glass house. That is the Centro Cultural Itchimbía. It is privately owned and serves as a conference room, museum and exhibition center. The sign is to the right of the house, near the edge of the hill. You’ll also see outdoor metal art and totem poles scattered throughout the premises. These belong to the Centro Cultural. This is a park, so come prepared to have a picnic, play frisbee or just admire the view. Apart from any special shows or events, there are no coordinated activities offered. 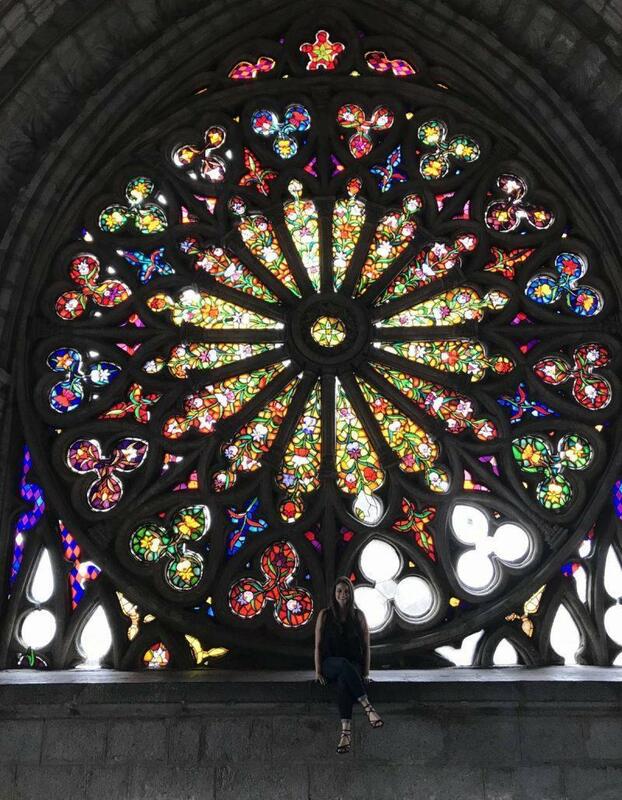 If you like stained glass, then you cannot miss the Basilica del Voto Nacional. It costs $2 to enter the church and that there is a separate admission to climb the towers, which is where this window can be found. The church itself is beautiful, but if you’ve been to Europe you’ve probably seen your fair share of churches. If I had known, I would have skipped the entrance free to the ground floor of the church and went straight for the towers. You would expect this window to be a huge picture spot given its IG potential, but there were only 2-3 other groups on the day I went, which was a Saturday. I did no wait long before positioning myself in front of the fixture, and was able to hand my phone off to a stranger to take the pictures for me. There is an elevator available here for those with mobility issues. Once you finish taking pictures of the stained glass window you might be inclined to start heading out, but there’s more to see. You need to head upwards and then move across a connecting walkway on wooden planks to get to the other side of the church and get the best view of the towers themselves. This climb is only for those who are more adventurous. As I mentioned, the planks you cross make it seem like you’re in a construction zone. When you reach the towers, you have to climb a ladder outside to get to the top viewpoint. There’s metal netting meant to reassure you that something would catch you if you fell, but I don’t trust it. If you have a fear of heights, end your visit to the tower at the window. There’s also a cafe and gift shop on the side of the church that you enter in through. The entrance to the walkway and planks is at the gift shop. 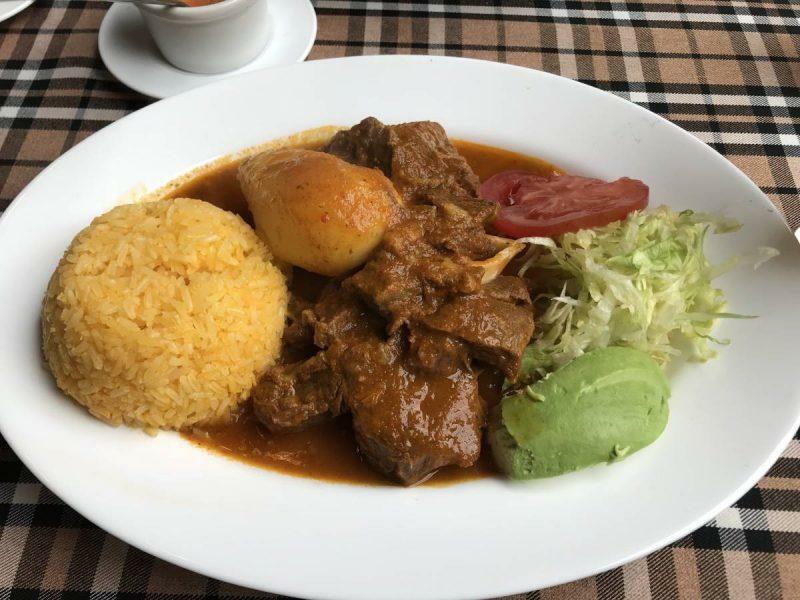 Since you’re already in the area, this would be a great time to grab a proper meal in historic Quito center. The presidential palace is a good destination in the center of the action if you need a place to plug into your GPS or destination to give your driver. From there, you can easily walk and explore the stores, take pictures of the city’s architecture or just sit in a park bench to watch people pass by. One of my favorite little spots was a courtyard about a block away from the palace. You have to walk inside a building to get there, so it’s a little more remote than the places situated immediately on the street. When I visited, there was live music. On the second floor, you’ll find a restaurant called Cafe de Fraille. There are plenty of restaurants in the courtyard area but I chose this one for the menu, view from the second floor and attentive service. I was not disappointed. Pictured above is a duck specialty of the day. There are also stalls set up around the perimeter of the courtyard on the second floor so you can shop for souvenirs before or after you eat. There were a lot of clothing options here, though they were not the cheapest deals I saw while in Ecuador. I would recommend walking away from the center for your shopping and remember to bargain for the price of items, especially if you’re buying more than one thing. 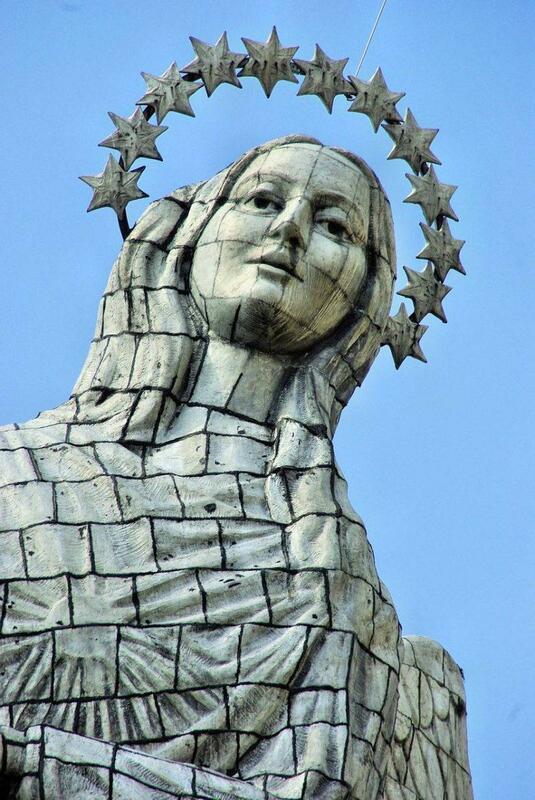 Above the city stands Loma El Panecillo, a winged Virgin Mary statute that is 30 meters tall and made of aluminum. She stands on a globe covered by a snake with a crocodile’s face, classic Madonna iconography. Locals claim she is the only virgin in the world, however, with the wings of an The stature was erected in 1976 and is a popular tourist attraction since you can see Cotopaxi’s peak in the distance. It’s a quick taxi ride to get here from old town and the perfect spot to take in the sunset. Another option for sunset is the TeleferiQo, a cable car with views of the city that is open until 8pm. I didn’t make it on this attraction personally because whether the car runs or not will depend on the wind conditions the day of your visit. If you want to play it safe, check to see if the TeleferiQo is running first before heading there and if not, head to the Virgin Mary statue instead. 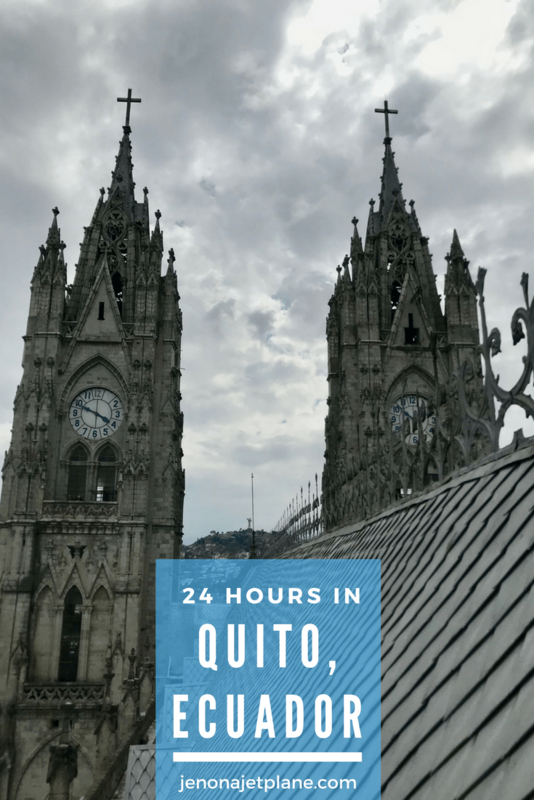 Is 24 hours in Quito enough? 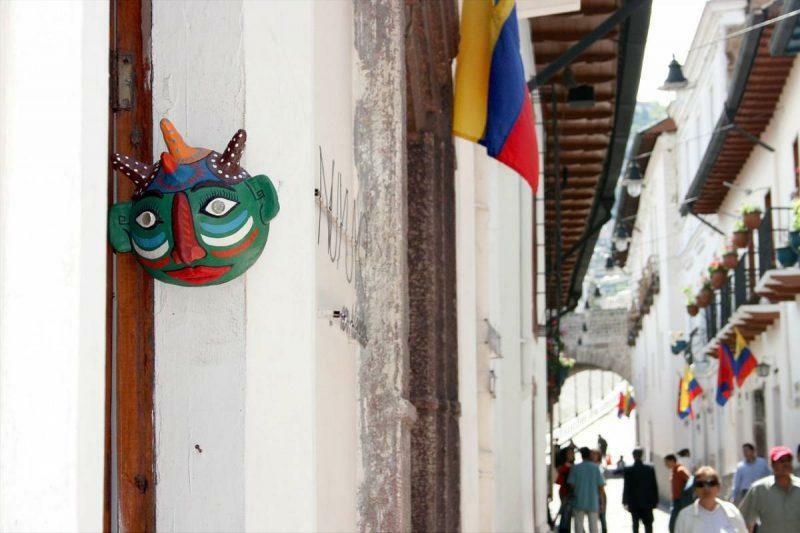 24 hours in Quito is more than enough time to fall in love with this city. 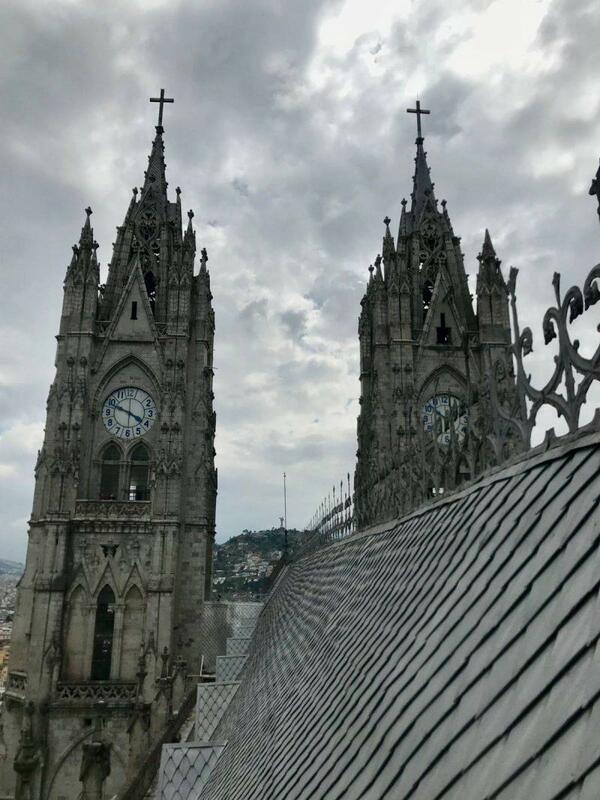 If you’re visiting on a long layover or simply want to make your own way to the Galapagos from Quito, allowing you to see more of the country, you should take advantage and explore this colonial city. You’ll find history, amazing views and incredible fresh food. Quito is on the top of my list to visit in South America. You’ve visited much in just one day. I think I would love to spend more time there. Great post, thanks for sharing. I love layover guides like this! Whenever I have a short amount of time in a city I always want to make the most of it and see as much as I can still. Quito looks like a pretty place to visit and the food looks so good! I especially like the look of those fresh fruits – yum! I am pinning this for a future trip to Ecuador. Thanks for sharing!